Welcome back! 😃 I hope everyone's summer is progressing well. Here in Tucson, it's hot and dry and that's just fine by me! Today, I will briefly cover text styling in general, and point out some cool features in Scrivener version 3 that are different from version 2 (and 1). First, what I mean by "text styling" is the option in certain applications to modify settings for the editable text in a document. In general, this is the font family (and the specific font in a family), font point size, font weight, text justification, and other information that describes what the text looks like on the page, either on screen or printed or both. Not all applications offer this ability. The way I see it, there are basically two categories of applications for people who want to type stuff. One category shows text, as typed, in a fixed font & size or with extremely limited options for formatting text. Commonly, these are referred to as plain text applications, and text editor is probably the most common generic term for these kinds of applications and is the term I use myself. There are text editors of this kind available for every computer platform I know about, some of which are—for all intents and purposes—built into the platforms. Some examples of this are vi, emacs, TextEdit, Notepad, and there are a ton of others. Linux (in its various flavors), Unix (in its various flavors), macOS, Windows, iOS, Android, all of these have at least one, and sometimes several, basic text editors that are part of the default installation of the operating system. By and large, if a text editor can style text at all (and some really can't, or don't), they are usually limited to a very few such stylings. Sometimes the font itself is fixed (only Times, or only Helvetica, etc.) and cannot be resized or given any formatting at all. Most of the time, however, some basic styling is possible. Often, there are limited font choices, and the styling is often limited to a few point sizes, and to bold (strong, in HTML terms), italic (emphasis), or underlined text—the weight of the font. Some basic text editors also offer left/right/center aligned text, and some may also offer justification alignment, where the text is aligned to both left and right margins, with word spacing adjusted per-line so the right-most character of each line is right aligned, just like the left-most character is left aligned. The second category I usually refer to as word processor applications. These applications nearly always offer a fairly extensive set of tools for formatting characters, words or other grammatical tokens, lines, paragraphs, pages, sections, and documents (collectively, I will refer to these as "text elements"). Most of the time, a word processing application offers the ability to fully control the font, point size, leading, kerning*, typographical weight (bold, italics, strikethrough, and others), and a slew of other settings on each element, individually and collectively. Many word processors also offer basic (or extensive!) page layout options, controlling precisely where text or other elements appear on a page. Well, it depends on what you want to do! If you are using Notepad on a Windows PC to write your novel, and then sending the file to someone else for editing, page layout, book design and so forth, these really don't matter a whole lot. You can pick any application you want, and as long as the editor and other recipients will accept your file, no worries! Where this really comes into play is for the author who is also an artisanal publisher (thanks to Guy Kawasaki and Shawn Welch for the phrase, and the outstanding advice from their book APE: Author, Publisher, Entrepreneur for this concept), using the tools of the CloudAge™ to publish independently. If you are a writer, and you will be print publishing your novel through IngramSpark, Createspace, FastPencil, KDP Print, or any of several other print publishing services, you'll want to have a keen understanding of how this text styling works, and how to make the version you send look right. Even if you decide not to publish paperbacks, but exclusively use digital services like KDP, Smashwords, Draft2Digital, IngramSpark, and others, understanding how to get the styling right will be a big help in formatting for these platforms. How does this relate to Scrivener? Although Scrivener does offer extensive text element formatting options (and, as such, I consider it to be, in part, a word processing application … at least in so far as it relates to putting words in documents), it is not (and has never been) an application for final production of written works. It does offer formatting, but certainly not on the level of Adobe InDesign, Quark XPress, or even Microsoft Word. 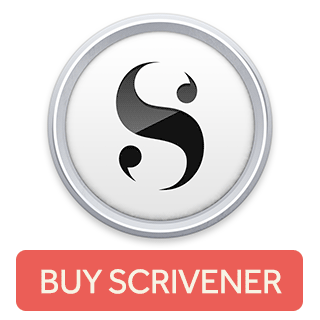 Scrivener aims to give the writer tools to organize, structure, and write their works, and then hand those works off to a more specialized layout program (like those three I listed) by compiling the work in the compile pane, and opening that compiled output in one of those other applications. As a result, the compile pane offers a tremendous amount of power and flexibility when creating those documents for output. One part of that is support for how text elements are formatted in the compiled document. Okay, but what does that have to do with Scrivener 3? In earlier versions of Scrivener, text could be formatted quite extensively, and preset formatting options could be defined and applied ad hoc in a Scrivener project. One limitation of the way Scrivener implemented this formatting in versions 1 and 2 was that these formats were a one-way, one-shot deal. Once applied, the fact that text was formatted with the preset was no longer "known" by Scrivener; all the preset did was allow a set of rules to be applied to the selected text. The text maintained that formatting, but had no idea what preset—if any—had been used to assign that formatting to that text. In many other word processing applications, these preset formatting rules actually apply a state to the text (or, I guess more accurately they can apply a state, and if no specific state is applied, then the "default" is the assumed state), and that text can report back what state was applied to them. In essence, a concept like a "style sheet" in Microsoft Word is basically just a named state of formatting options, and when a style (named state) is applied to an element, the element "remembers" that named state. Take Microsoft Word. By default, Word uses a style called "Normal" which defines the formatting for font, point size, character weight (bold etc. ), kerning, etc., and applies that formatting to text in the document—unless otherwise specified or overridden. When you select a line of text and then change the style of that text to "Heading 1," not only does the formatting of the text change but so does that state. If you position the cursor in the document where the "Normal" style is applied, "Normal" appears as the selected style, and the same is true of "Heading 1" when the cursor is positioned inside text with that style applied. Scrivener, in versions 1 and 2, did not have any concept of such "remembered" formatting. Although the formatting of compiled output could be assigned in the Formatting pane, it was still just a one-shot deal. Scrivener 3, however, now supports styles in a way much more like that of other applications: as a named state that the text "remembers." It also can include information about those styles, including their names, in the compiled document. There are really two awesome things that are possible with the new style system in Scrivener 3. Probably the most important is the part where Scrivener will include the styles and their names in the final compiled output in certain formats (when compiling to a Word format, for example). This means that when you create a style for your chapter titles, your block quotes, captions, etc., Scrivener will not only apply the formatting but when you open the Word document later, those styles will show up in the style pane of the ribbon (or in the style window under Format->Style…, at least on the Mac version of Word). This significantly simplifies some aspects of the post-compile workflow. These don't only apply to Word formats, but also to the CSS for EPUB3 as well as Kindle output (according to the pre-release blog entry, at least). A second upshot is that you can actually have one set of styles for the editor, styles which conform to your needs while creating your work, and a different set of styles for the compilation stage. This was sort of possible before, it's just considerably easier now. The inclusion of this new styles system in Scrivener 3 is a welcome addition, and one which I will explore a bit more in part 2. It takes the best writing tool around, and makes it even more awesome. In part 2, I will take you through how to create styles for your Scrivener projects, how to use styles in the editor as well as during compilation, and some things to think about when using the new styles system in Scrivener 3. What are your thoughts on styles in general? How extensively (or not) have you used them in your works up to now? Just based on the information here, will you be more likely to set up and use the new style system? Let me know in the comments! *: Leading and kerning, for those who are not familiar with these terms, refer to kinds of spacing. Leading (as in the metal lead, Pb, not /LEE-ding/) comes from typesetting days, when small strips of lead metal were placed between lines of text. Increasing the leading basically means to put more space between lines (or, more accurately, between baselines of text). Kerning is a type of character spacing in proportional fonts. Specifically, it refers to the adjustment between particular character combinations. A character like "W" takes up more visual space at the top than at the bottom, and the letter "A" takes up more space at the bottom than the top. Because of this, the letter combination WA or AW will often have some negative kerning assigned to it, so that these two letters will actually be closer together than will WE or XL (for example). If you look closely at the WA, you can probably see that the bottom of the "A" is actually underneath the top of the "W", whereas the "E" does not overlap the box of the "W" at all. The exact amount of this overlap is the kerning, and is usually defined for certain character combinations (not all combinations need, or could benefit from, kerning). A related concept is that of tracking, which is the spacing between any two characters independent of the kerning. Tracking defines how closely spaced characters are overall, while kerning is basically an offset of the tracking for certain character combinations to be closer together, so as to give a more pleasing reading experience.